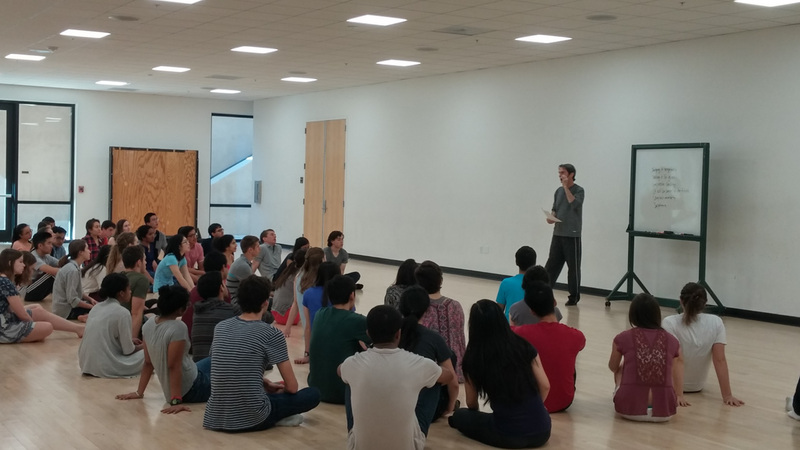 A traditional “bucket list” class at Stanford, DANCE 46: Social Dance I, offers students a friendly, noncompetitive introduction to traditional ballroom dancing. Taught by Richard Powers, who configured the program 24 years ago, the class explores 10 different flavors of ballroom dance, including staples such as waltz, swing, salsa and tango. All dances in the curriculum are partner-based, allowing students to collaborate and learn from each other’s experiences. 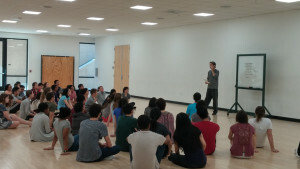 Powers deliberately chose to steer the class away from standard ballroom learning settings, which tend to be competitive and technique-based. The class is aptly named; the dynamic nature of instruction emphasizes the social aspect of dancing. Powers models dance routines with the help of an assistant. Then, students sashay around the studio in a circle, consistently switching partners to learn from and interact with as many people as possible. “I find it’s very relaxing because I’m not worrying about getting all the steps right,” said Riasoya Jodah ’19. The scope of the class extends beyond just dance, however. Students learn key skills exercising cooperation and adaptability through their forays in the dance studios at Arrillaga. “It’s all about molding yourself to a situation and trying to read your partner,” said Veena Agusala ’19. Executing certain complicated moves, such as under-the-arm twirls in swing dance, requires implicit understanding between two partners. Throughout the 10-week course, students grow more comfortable with each other and learn to pick up cues that improve the fluidity of their dancing. According to Agusala, the relaxed atmosphere of the class gives people the opportunity to learn from their mistakes. “One thing Powers said was that you should never say ‘oops.’ You should do what surgeons do and say ‘there,’” Agusala said. According to Agusala, Social Dance encourages letting go of small concerns and building skills with peers. Powers also incorporates inspirational “halftime talks” during each class meeting. Partway through the class time, he takes a few minutes to discuss philosophical approaches to positivity and life management. While some relate to dance, others are intended to uplift and inspire students more generally. Social Dance I is notorious for being difficult to get into, with slots filling up almost instantly after enrollment opens. Students from all majors and years enroll, from undergraduate freshmen to graduate students. According to Powers, engineering and computer science majors dominate the class demographics.